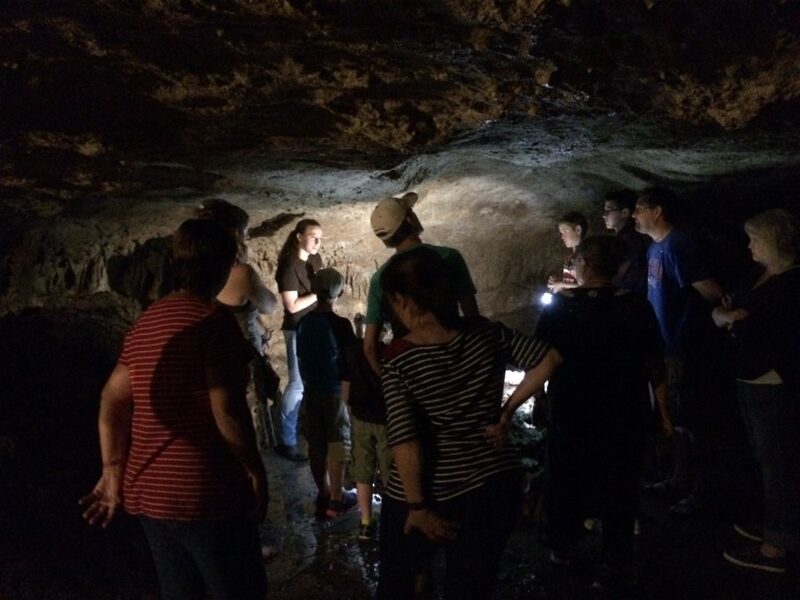 Cascade Caverns also offers an extended nighttime tour (1.5 hours) using only flashlights and candles in the Cave. Come out to join us for this unusual, and not-so-scary nighttime tour. What is most interesting is that our blind salamanders seem to know when the sun goes down, even though they can’t see and are 10 stories down beneath the surface, far from sunlight’s reach. Is it magnetism, dead reckoning, or something magical? We don’t care as much as we do to be able to see these beautiful ghostly creatures. They’re so cute, even without eyes. Their stylish red external gills and slow moving prance make them the hit of the tour. These tours are available to groups only (12 person minimum). Call (830) 755-8080 for more details.